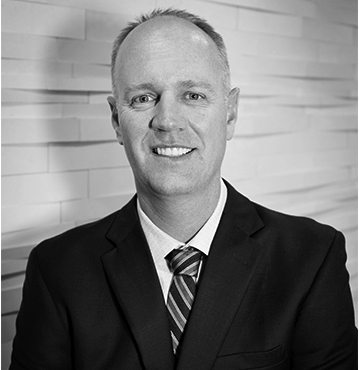 Dr. Jeff Swanson of Cedar Park Chiropractic and Acupuncture is a leading Chiropractor in Cedar Park, Leander, and Austin offering care for you and your entire family. Welcome to your solution to quality care for back pain, neck pain, headaches, migraines, sports injuries, car accident injuries including whiplash, spinal decompression and more. Prompt passionate, and personalized care to meet your health care needs. Dr. Swanson remains at the forefront of chiropractic by continually striving to deliver the care that each of our patients deserve. He resides in Cedar Park, Texas with his wife and children. Dr. Swanson serves the greater Austin area including Cedar Park, Bee Cave, Round Rock and other communities. Jessica grew up in Georgetown and now resides in Leander with her significant other Brian and her son Robby. She has always been happiest when helping others, especially her boys, which explains her passion for chiropractic. Jessica started chiropractic care at the age of thirteen and just a few short years later turned it into a career. Karah is a native Texan. She is originally from Grapevine but now lives in Round Rock with her fiancé, Hunter & their dog, Ruebin. Karah graduated from Texas Tech University with a Bachelor of Science Degree in Health, Exercise & Sports Science. She has been under chiropractic care since she was in high school & continues to be treated by Dr Swanson! We are always here to answer any questions about chiropractic and acupuncture therapy. Click the link below to read some of the most common conditions we treat, what to expect on your first visit and take a look at new patient forms and information. Cedar Park Chiropractic & Acupuncture proudly serves the Austin, TX area and the communities of Cedar Park, Round Rock, Bee Cave and surrounding areas. Manual therapy procedures such as myofascial release and Active Release Technique. Acupuncture: electrical and needle acupuncture. We are conveniently located in Cedar Park, which is easily accessible from the Round Rock, Bee Cave, Leander, Georgetown, Lago Vista, Lakeway and Austin areas. Our office is located near the Hwy 183 and Cypress Creek intersection just minutes from Lakeline Mall.